I reckon this will be good for FPM. It looks like Osama has enough votes to win, regardless of how much support the FM give to Bizri. SO if FM votes for Bizri, this will add towards the FPM list and potentially help elect a second FPM seat in Jezzine. FM are afraid they won’t reach hassel at all and they keep attacking Bizri because he refused to ally with them. FPM in jezzine is roughly 12'000 votes now, in the best cases. They are short of a hassel due to the silly electoral diivision of incl. jezzine with saida. They might get to 20-22k with Bizri, which is around 1.4 Hassels. They will get 1 MP in the best cases. They will never get the 2nd. The risk is that Bizri gets more preferential than oussama saad, then FPM wouldn't even get a seat. To this day, I still don't understand the strategy of FPM in Jezzine and in Baabda. That's what tafdili voting does! According to abdo saad jezzine saida district is the most ambiguous between all districts . The results are so close that he cant tell which lists will get 2 seats and which list will end up with 1. But what he is so sure of is that its impossible for any list to achieve 3 hassels. 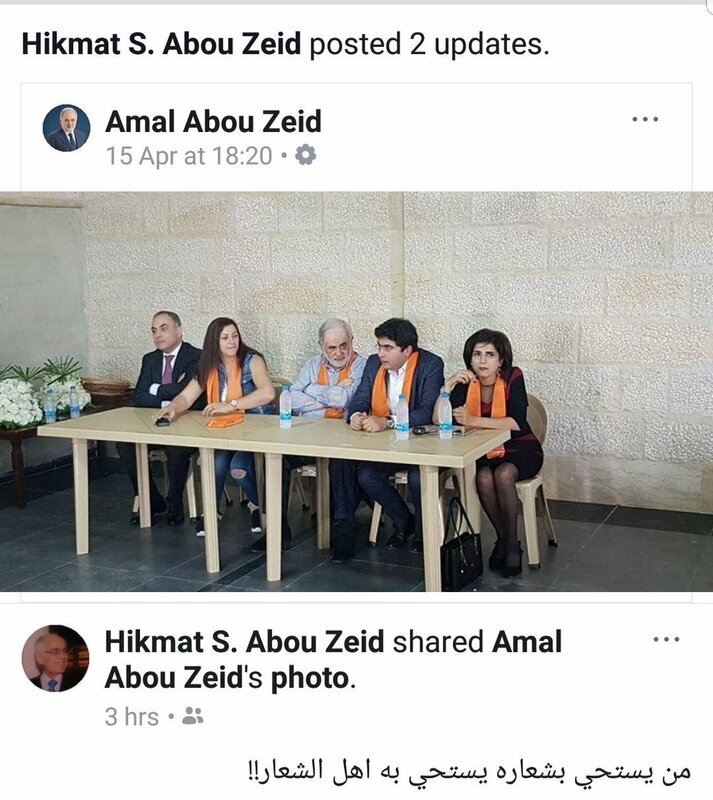 it is enough for Tayyar's list to get more votes than Hariri's list or Berri's one to get the second seat irrespective of the 7asel and ksour. What is the approximate 7assel there?